Many people view swimming as a purely recreational activity, but the health benefits of swimming should not be overlooked. Swimming is a great way to get fit, providing great cardiovascular exercise that’s easy on the joints. 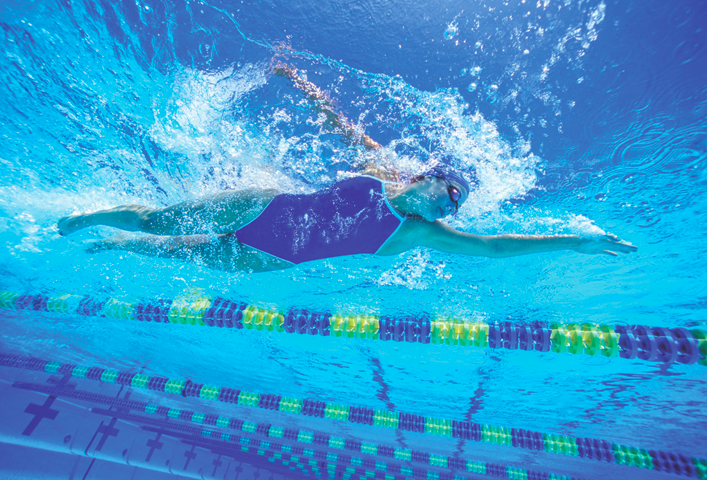 Swimming engages a variety of muscle groups, making it a great way to get a complete workout. The following are some additional benefits of including swimming as part of your exercise regimen. · When swimming, muscles are worked hard, which can help build strength. Much of that work can be traced to the fact that water is far more resistant than air, forcing a body in water to work harder to move than it would if it were walking on solid ground. · Water buoyancy can enable people to do exercises that would be jarring on land. In water, roughly 90 percent of the body is buoyant. That means working out in the water will put less strain on the knees and hips when it comes to performing high-impact jumping exercises. · Swimming is a great cardiovascular workout. Swimming can elevate the heart rate to an optimal level and work the lungs, too. Pushing oneself harder and harder can help to burn calories and lead to weight loss. · Just about every muscle is used when a body is swimming. Swimming targets the shoulders, back, arms, legs, hips, and gluteals without requiring complicated workout equipment. · Swimming may help improve coordination, balance and posture. Swimming also may promote greater flexibility by stretching the body through fluid movements. While swimming is often considered a relaxing activity tailor-made for warm summer days, it also provides a complete and demanding workout that can benefit the body in a variety of ways.